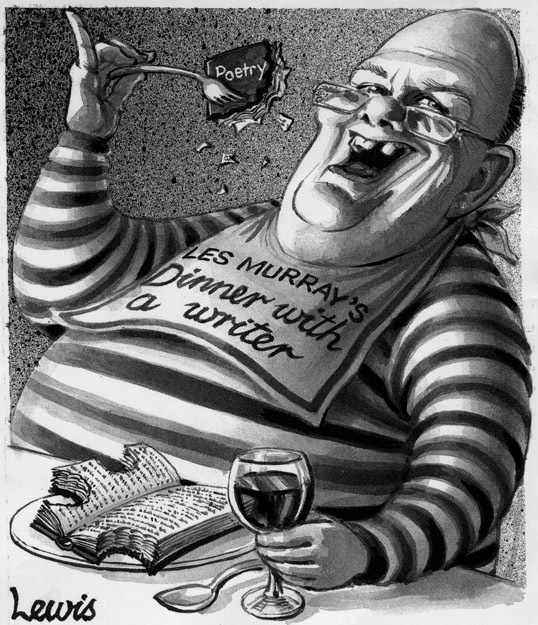 Les Murray’s appetite for prose. Famed Australian poet Les Murray in 1992. This entry was posted in Editorial Portraits and tagged jindyworobaks, Les Murray, literary, poet on November 28, 2012 by Art by Peter Lewis.